7 950,00 € tax incl. 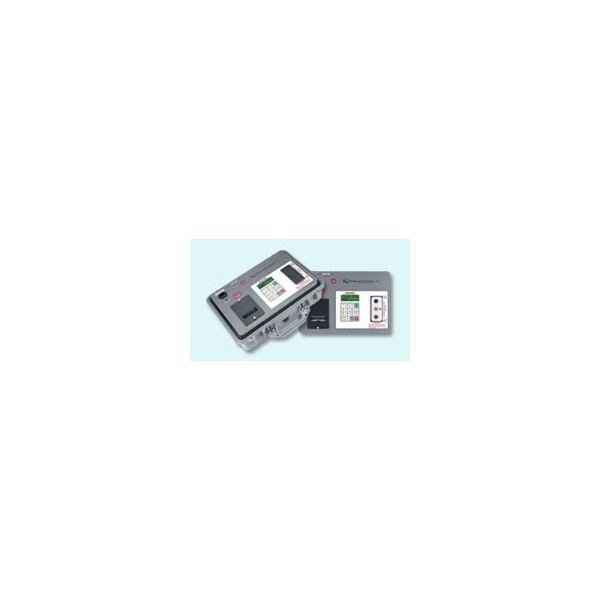 Vanguard Instrument Company’s Model IRM-5000P Megohmmeter is a micro-processor based, high-voltage, insulation-test meter. The Model IRM-5000P is rugged and portable, making it ideal for use in electric-utility substations and for industrial application. 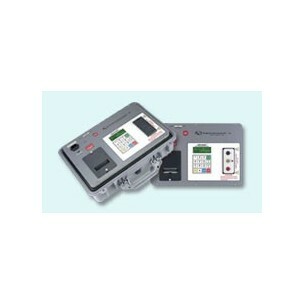 This sophisticated insulation tester uses a dual-microprocessor design. One microprocessor is dedicated to the control of the power supply and measuring circuitry. The second microprocessor is dedicated to the display, printer control, and user interfaces. CAPACITOR DISCHARGE <2 Sec/µF, Automatic at the end of test. BATTERIES Two 12V, 2.2 Ah Sealed, Lead Acid batteries. Battery life: typical 6 hrs, continuous testing.